Keeping warm in winter will always require an extra investment in energy, just as it does in summer when you have to run the AC. But it doesn’t have to empty your bank account. Here, we show you how to save up to $500 per year on winter heating costs. What Influences Home Heating Costs? Besides your personal preference for indoor warmth, a number of other factors can also influence how much you spend on winter heating costs versus what your friend or neighbor may spend. Not all of these influences may be under your control. For example, if you live in an older home, it likely has multiple air leaks, some of which may be inaccessible or beyond the scope of your annual maintenance budget. Also, if the cost of heating energy (electricity, gas, propane, oil, hot water) in your province is higher than it is in another province, you can’t really do anything about that. Luckily, you can control the majority of the other major influences, and this is where you will want to focus to trim valuable dollars and pennies off your winter heating bills. Let’s take a look at the factors you can control to reduce what you spend on heating. The type of heating system you use (ducted furnace, ductless heater, water/steam radiator, heat pump, heating boiler, space heater, wood/gas fireplace, etc.) can increase or decrease what you spend on heating each winter. For general purposes, gas, electricity, and propane tend to fall in the middle of the spectrum cost-wise. Oil tends to be the most expensive in many areas throughout Canada, and hot water/steam and wood are often the least expensive. How well maintained your heating system is can also have a measurable impact on energy use. An older heating system that is kept well maintained, free from dust and debris, with a clean filter and well-oiled components, can continue to deliver reasonably efficient operation for up to a decade or more. However, the age of your unit will have the greatest impact on your energy costs—more than any other single factor mentioned here. To calculate what these savings can mean for you, add up your winter heating bills, divide by the total number of months, and then multiply by 0.2 (heat pump), 0.15 (furnace) or 0.05 (heating boiler). The result is your monthly heating cost savings. Not every type of heating system permits the use of a programmable thermostat. If you have an older furnace, heat pump, or heating boiler that doesn’t currently have a programmable thermostat, it can be worth finding out whether you may be able to hook it up to an aftermarket programmable thermostat. This way you can automatically lower your indoor temperature at times when the heat doesn’t need to be as high, such as at night or when you’re out. 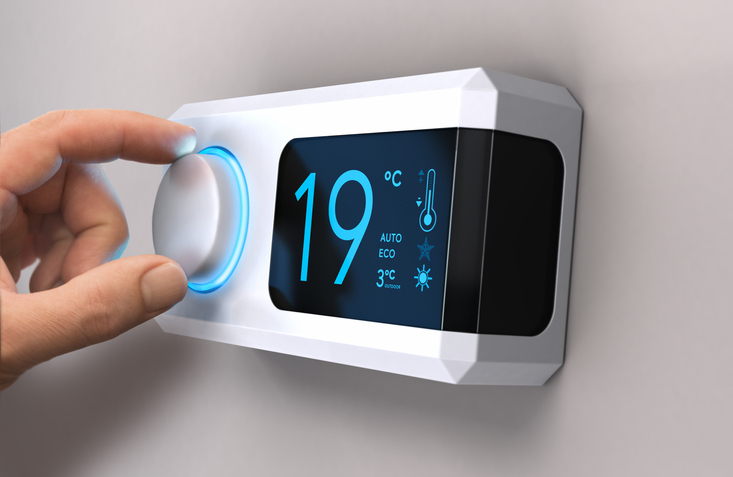 If your heating system can accommodate (or already has) a programmable thermostat, the U.S. Department of Energy estimates that you can save $180 per year or more just by programming it! Insulation can also play a major role in how well the energy you purchase to heat your home is actually retained within your walls and used for that purpose. The more leaks and cracks your home develops, the more warm air escapes and the harder your heating system has to work to pump out more warm air. Simple fixes such as weatherstripping around walls and doors, insulated pipes, and interior insulation can help keep more warm air in and reduce the strain on your heater. The U.S. Department of Energy estimates that you can save $200 or more on heating and cooling just by sealing and insulating the “shell” (outer structure) of your home. Right now during our end-of-year Golden Savings Event, you can save up to $1,000 on selected heating systems! Give us a call at 905-549-4616 to find out more about how we can help you save money on energy costs in the new year!